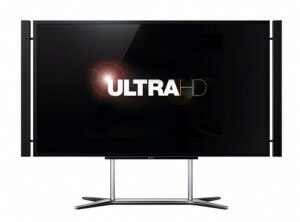 Taking what it describes as a “measured and cautious” approach, the DTG, the industry association for digital television in the UK, has suggested that it has the time in the next six to twelve months to define clearly what Ultra-high definition television actually means and what it really means for the UK broadcast industry. Describing Ultra-HD one of the most exciting things that is going to happen in terms of TV experience in the next ten years, Richard Lindsay-Davies, Director General of the DTG suggested that this was one of main reasons the DTG was determined to get it right. Discussing the work of the DTG’s UHD Forum – launched in September 2013 – Simon Gauntlett, the DTG’s Technology Director, said it had designed to bring together the entire ecosystem for ultra-high definition television in the UK reach agreement on what was meant by Ultra-HD rather than have it dictated to the overall industry by the likes of the manufacturers. According to Gauntlett, there is a “lot of work” going on with different standards bodies. “We’re not trying to step on their toes, we’re working with them on the fundamental standards. Issues cover such as whether it is just resolution or more than resolution, whether we include high dynamic range, what the colour requirements are, what the depth of video is. Whether it’s higher frame rates than traditionally used in broadcasting,” he explained, adding that the Forum was also working with major retailers to help them avoid potential mis-selling of displays into the market. Lindsay-Davies said the Forum would try to use the experiences of the DTG’s earlier HD Forum to try to make sure that the challenges it met and experienced while taking HD to market were overcome as Ultra-HD is taken to market. “This is the the best opportunity as an industry to make a TV experience step change in the market for consumers and at the same time hopefully add some economic value back into the sector overall,” he declared. “We’re trying to take an enthusiastic but measured approach to Ultra-HD to make sure we get it right,” he said, suggesting that 2014 was “probably the year that Ultra-HD gets defined”. “All businesses in the sector will need a clear plan as to how they manage the different speeds at which the technology availability is developing, but also how they manage their commercial plans, both to get it into the market and manage consumer expectations,” he suggested. According to Lindsay-Davies, the industry still has two to three years before the mainstream high-end will begin to move,“which means we’ve still got time, in the next six to twelve months to clearly define what Ultra-HD actually means and what it really means for UK broadcast. That’s the bit we’re really interested in. We should do it quickly, but in a measured way,” he concluded.